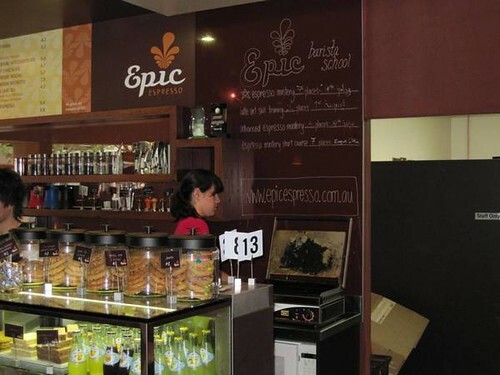 Finally, after years of drinking the Epic Blend, I am finally visiting the famous café in Western Australia. Can Epic lives up to its tremendous reputation? We were greeted with the fresh aroma of coffee even as we got off our car. The café is small and sits about 25 inside and another 10 outside. It spots a cool blend of retro and contemporary design. Nothing beats the industrial sound of human and machine combining to make great espresso. They used the Greg Pullman tamper – and I found out later that the design was a collaboration between Greg and Epic. 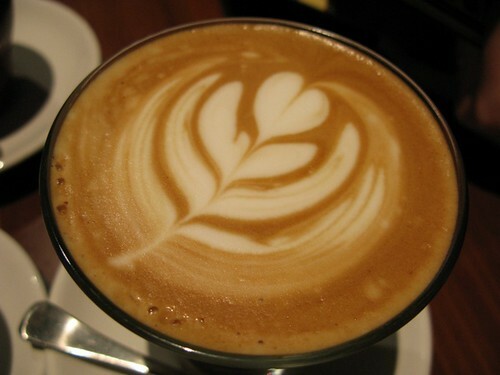 Flat White – 1 part espresso and 5 part milk – incredibly sweet without any sugar yet does not take anything away from the coffee. Best milk based drink I have ever tasted! Ristretto – The “restricted” shot of about 18ml of double espresso, nice deep red and brown colour – the shot is very intense with caramelised sweet finish. There’s not a single hint of bitterness. Not something I will drink often but a showcase of how good the Epic Blend can be. 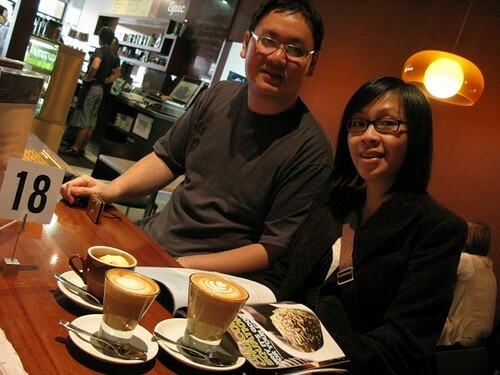 KF Chan: Are you sure 18ml for a double ristretto? 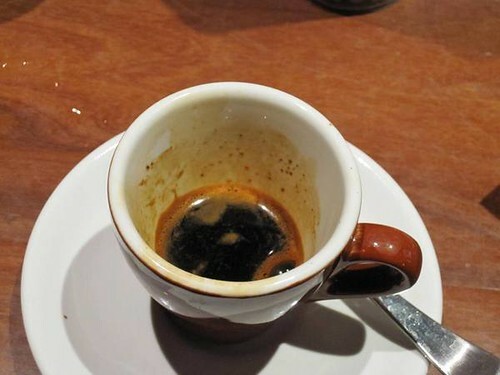 A single espresso shot is 30ml. 18ml for a double is too short, right? 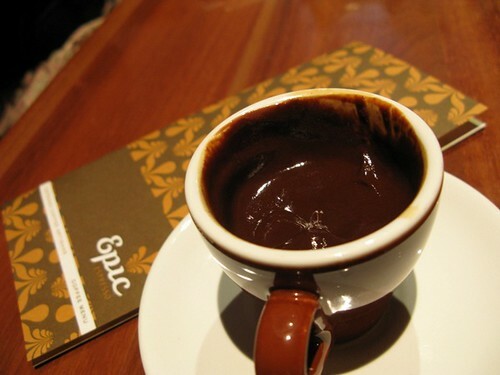 Then we were offered the “Mojo” – a drink only offered by the Barista to their friends. 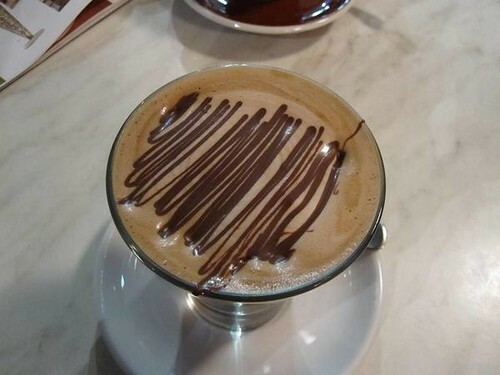 The base was a single shot espresso, then filled with Belgian Chocolate Couverture and topped with another double shot espresso – then the drink was stirred – taste a bit like liquor chocolate. 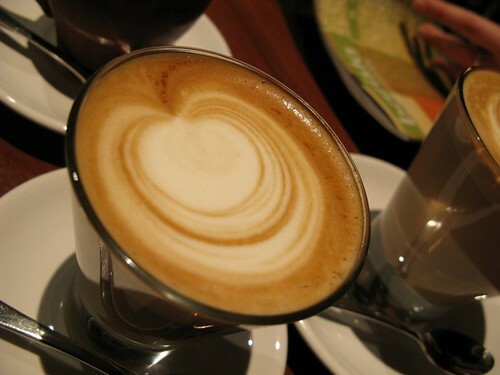 The next day I came back (and actually the day after next as well) and I tried their Cappuccino and Mocha. 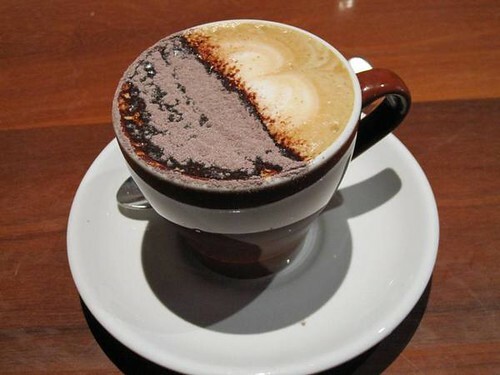 I usually dislike Mocha because it can taste a bit bitter when not done properly. This version was superb and silky smooth although it can be a bit too sweet for those who are used to drinking coffee without sugar. 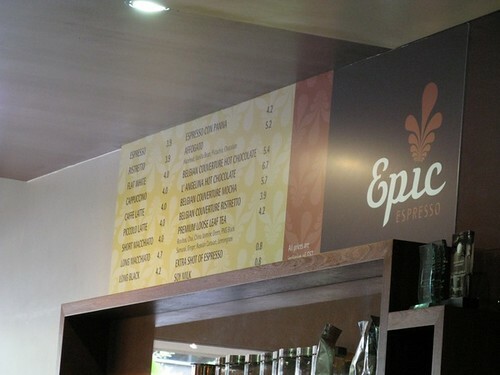 Truly Epic Café lives up to its considerable reputation. 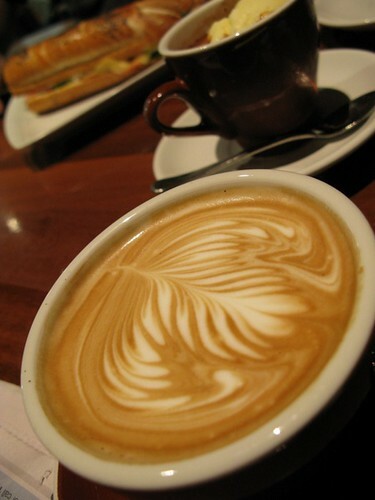 I went to the café three days in a row. There was a slight drop in the quality on day 3 (with a different crew) but overall they displayed an absolute master class in preparing espresso drinks. Three days and AUD150 (RM450) spent – it was a great experience. 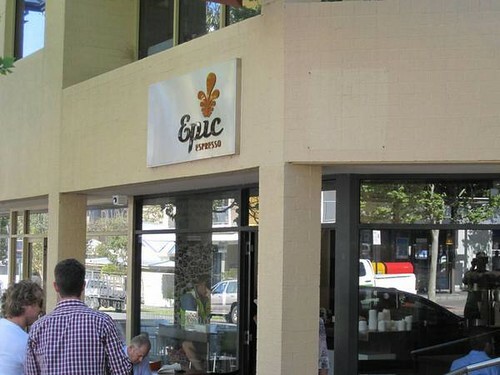 Epic claimed they could possibly be one of the best espresso café in Australia – based on my experience I would not disagree. Thank you Simon for these lovely photos and memories. 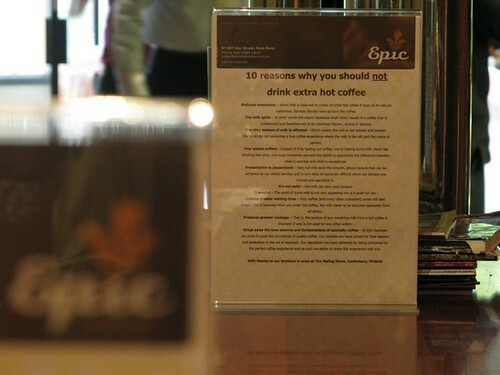 Note to self: Must visit Epic before I go. 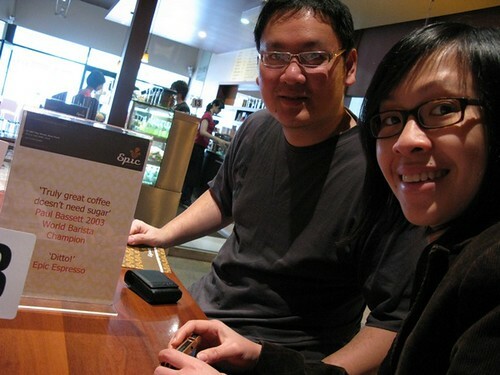 This entry was posted in Barista, Cafe, Cappuccino, Coffee, Coffee Beans, espresso, latte, latteart, Ristretto on October 26, 2009 by KF Chan. This entry was posted in Malaysia on October 7, 2009 by KF Chan.